Spontaneity might be in her blood, but walking down the aisle to wed a stranger is hands down the riskiest thing Sara Darling has ever done. But to adopt her infant niece she'll first need to say an "I do" of convenience. As the baby's biological father, soldier Jake Martin can take away Sara's dream come true. 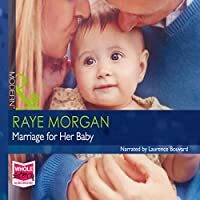 War-traumatized Jake's not sure he's instant family-man material, but something about Sara and his gorgeous daughter makes him want to break free from the prison of his past. He might just need their ready-made family as much as she does….